The Sales Leadership & Manager Training Program that is Guaranteed to Pay for Itself! The Certified Sales Leader designation is the country’s most comprehensive sales leadership certification program offered. This sales leadership training and certification program delivers optimism, hope and security to you and your Sales Leader that your sales organization will be transformed. 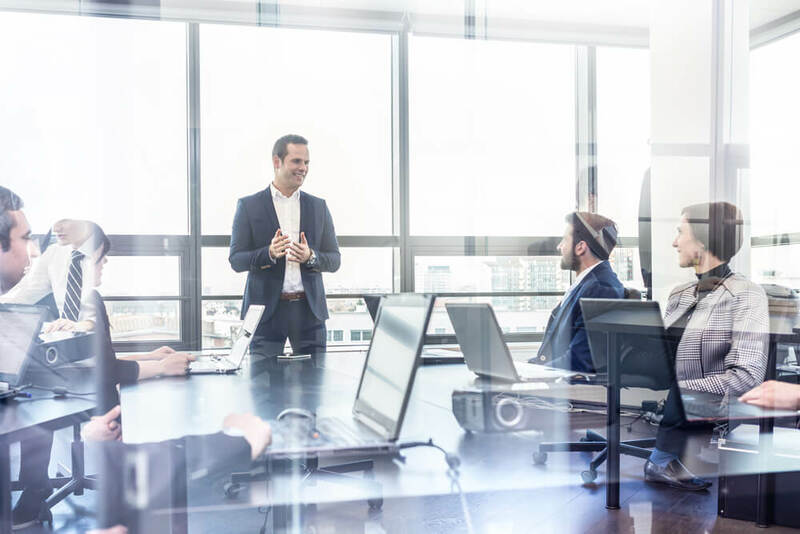 After training, your company will have a qualified Sales Leader that can drive sales, lead the team, have the tools needed to implement change and build a solid foundation for driving revenue growth. The CSL training program, delivered through Sales Xceleration, is focused on expanding the skill set of a Sales Manager by providing them knowledge, coaching, techniques and tools to lead their sales team now and into the future. The program is delivered by experienced Sales Leaders who have over 25+ years of proven sales growth experience and are CSL and CSL trainer certified. CSL training can be taught in a classroom format or 1:1. If you don’t see a location near you, please go to the Find an Advisor page and contact the Certified Sales Leader Trainer near you to discuss 1:1 training or their future class schedule. Our program consists of 16 lessons, taught over an 8-week period, that covers everything from understanding your client, hiring the right salespeople, building effective sales plans, to developing compensation plans that incentivize desired behavior and so much more. The classroom environment allows for roleplaying, coaching, team exercises, Q&A and networking. Plus, participants leave with a toolkit to assist with the implementation of new processes and procedures. When the lessons are complete, the CSL certification examination is taken; and upon passing, participants can proudly add the CSL designation to their credentials. CSL training elevates a top sales rep or a struggling sales manager to a leader who manages effectively and delivers results. Making a decision to invest in your sales leader is an important decision and you want to make sure you get your money’s worth. You can see why the CSL program is the best for your sales leader. I want to know more about the CSL Certification! Please have someone in my area contact me.